In 1754, the Mughal emperor, Ahmad Shah Rangila, was virtually made prisoner by Safar Jang. His advisor, Jawed Khan, had also been murdered by Safar Jang. But then Safdar Jang himself was removed in a coup and retreated to Awadh. His replacement was the new wazir, Imad ul Mulk Gaziuddin the younger (a grandson of Nizam ul Mulk son of Gaziuddin senior). Imad ul Mulk proved equally bad for the emperor. Abdali then entered Delhi virtually unchallenged. Although he allowed Imad ul Mulk to continue as wazir, there was another power centre created by him in Delhi, in the form of Najib-ud-daullah Khan Rohilla as mirbakshi. Meanwhile, the Marathas advanced and Abdali retreated. The Marathas took over Doab and Meerat, and soon marched to Delhi and removed Najibud Daullah Rohila. As a side note, relations between Malharrao Holkar and his commander Raghunathrao were far from smooth as Raghunathrao suspected Najibuddaullah of having bribed Malharrao Holkar to seek his leniency. Already there was friction between the two as Malharrao resented taking orders from a much younger Raghunathrao. Earlier, thanks to Raghunathrao's insistence (cajoled by Jayappa Scindia), Malharrao had to agree a treaty with Surajmal Jat, despite the fact that the Jats had killed Malharrao's son, Khanderao. This also added to the effect. Also, relations between Najib and Malharrao Holkar were very cordial and others believed that Malharrao was deliberately being lenient towards Najib. Malharao has been accused by a section of historians of deliberately keeping the threat of Najib alive in order to counter any potential moves in the future by the peshwa and Scindia. But there are versions of events which refute these allegations against Malharrao. Meanwhile Najib, the wily fox, was maintained his pretence that he wanted to be reconciled with the Marathas, while simultaneously maintaining a secret correspondence with Ahmed Shah Abdali, apprising him of Maratha movements. The Afghans too re-entered India and with the help of the Rohilla network, soon regained most of the posts they had lost earlier to the Marathas, including Delhi. Dattaji Shinde, the Maratha commander, had instructed the wazir, Gaziuddin, to strengthen the defences of Delhi and hold the Afghans until reinforcements could arrive. But Gaziuddin fled and took refuge in the Jat camp, leaving the gates of Delhi open for the Afghans. Meanwhile in 1757, Abdali was advancing towards Delhi. The Maratha commander, Antaji Mankeshwar, repulsed the first attack by Abdali. But while returning the Maratha party was ambushed by Najibuddaullah Khan, the Rohila chief of Sahranpur, who acted as a double agent for Abdali (all the while professing loyalty to the Mughal emperor). This created panic in the Mughal ranks and Imad ul Mulk also surrendered Delhi to Abdali. The Maratha commander, Dattaji Shinde, who was supporting Gaziuddin, was also killed, at the Battle of Buradi Ghat (January 1760). He was decapitated by the Najib's aide and preceptor, Qutub Shah, and his head was presented to Abdali. The Peshwa then dispatched his cousin, Sadashivrao Bhau, and his nineteen year-old son, Vishwasrao to supervise operations (at the insistence of the peshwa's wife, Gopikabai, who thought Sadashivrao might hog all the credit in course of achieving a victory). Accompanying him were Nana Phadanvis, Mehendale, Purandare, Damaji Gaekwad, etc. Sadashivrao Bhau was the son of the valorous Chimaji Appa, the younger brother of Peshwa Bajirao I. His father died when he was young and he was raised in the peshwa household. After gaining adulthood he took charge as the peshwa's diwan. Known to be a very competent administrator, Bhau, as he was popularly known, was as good with his sword as he was with his pen. He won northern Karnataka for the peshwa and humbled the Nizam of Hyderabad at the Battle of Udgir. He also added the legendary fort of Daulatabad to the Maratha empire. It is said that the Jats and Gaziuddin did not want Sadashivrao Bhau to enter the north but the imminent threat of Abdali's arrival was enough to make them bribe the diwans of Shinde and Holkar (Dabholkar and Chandrachud) to dissuade Sadashivrao from entering the north (and especially from controlling Delhi) but to send his army to the north instead. In the event, things did not go quite as they had hoped. As per some historians, Sadashivrao Bhau was over-confident of Maratha might and refused help from the Rajputs, Sikhs and Jats (however many historians dispute this and maintain that Sadashivrao did try to convince the Jats, but because they were refused control of Delhi, they abstained from the war - the Marathas also no longer trusted Gaziuddin with the role of wazir and were said to be entertaining thoughts of making Shujauddaula of Awadh the next wazir. Therefore, both Surajmal and Gaziuddin decamped from Delhi without informing Sadashivrao Bhau). The Rajputs were not very keen on helping the Marathas anyway, whom they viewed as extortionists and a threat to their own sovereignty. (Earlier, the Marathas had acted avariciously during the succession war between the brothers Ishwari Singh and Madho Singh for the Jaipur throne and the Marathas ended up losing their good will. The king of Jodhpur, Vijay Singh, also resented the Marathas for their extortionate demands, and had earlier murdered their commander, Jayappa Shinde. To ascend their thrones, the Rajput princes had earlier accepted the heavy demands made by the Marathas in exchange for their help against their rivals. But they later found that meeting Maratha demands was too cumbersome. Due to this, Rajput support for the Marathas was not forthcoming. In fact, Madho Singh of Jaipur gave a written undertaking to Abdali that he would not help the Marathas. The Sikhs were also threatened by Abdali to prevent them sending supplies and military help to the Mughals. Surajmal , the Jat king, had earlier promised help, but he insisted on the increased control of Delhi and retaining Agra fort (something Sadashiv Bhau was not very forthcoming about and wanted the decision to be postponed until the war with the Afghans was over. Also, the Jats and Gaziuddin suspected that Sadashivrao wanted Shujauddaullah as the wazir of Delhi and not Gaziuddin, as Sadashivrao viewed Gaziuddin as too unreliable, especially after his flight at the arrival of the Afghans when he left Dattaji Shinde in the lurch. On hearing of Abdali's capture of Delhi, the Marathas under Raghunathrao rushed the Maratha armies to Delhi. They chased the Afghans as far as the Northwest Frontier. The Marathas held sway over the north (Attock, Lahore, Peshwar, Kashmir, etc) for over a year, between November 1758 to March 1759. Later, the Marathas under Raghunathrao rushed their armies to Delhi. They chased the Afghans (including Abdali's son, Taimur) into the northwest frontier. The Marathas held sway over the north (including Attock, Lahore, Peshwar, Kashmir, etc) for over a year (Nov 1758 to Mar 1759). But Raghunatrao returned to the Deccan leaving behind a small garrison under Sabaji Shinde to defend Punjab. After Abdali's departure, what followed was a struggle for complete power between Gaziuddin the younger and Najib Kan. Najib emerged the victor and Gaziuddin fled Delhi taking with him Alamgir II as security (and a prisoner). Imad ul Mulk soon murdered the emperor, Ahmed Shah Bahadur (after he intercepted the emperor's letter to Abdali to free him from Gaziuddin's clutches). Gaziuddin continued his attempts to regain control of Delhi. He succeeded briefly in installing Alamgir II on the Mughal throne (this emperor too was murdered by Gaziuddin when friction developed between them). But Najib Khan soon drove Gaziuddin off again, this time with Abdali's help (Abdali had returned after quelling a rebellion in Balochistan). Abdali had returned to India in response to the pleas from Najib and Shah Waliullah, a Muslim cleric from Delhi who had given the clarion call of Islam in danger after the advent of the Marathas in the north, imploring Abdali's assistance in vanquishing them. They also suspected that Sadashivrao would agree to Shuja's bidding for the replacement of Gaziuddin's and Surajmal's puppet emperor, Shaha Jehan II, with Shah Alam II, son of Alamgir II, the emperor who was earlier murdered by Gaziuddin the younger). With no firm promises from Sadashivrao Bhau forthcoming, they slighted Surajmal and Gaziuddin decamped from Delhi in the middle of the night and thereafter stayed away from the battle. Shuja ud Daullah, the Nawab of Awadh, had earlier switched sides to join the Afghans (despite his mother Badrunissa Begum advising him taking sides with the Marathas. Abdali's side was mainly presented to Shuja by Najibudaullah Khan and Begum Mallika uz Zamani, widow of ex-emperor Muhammed Shah Rangila). It is also possible that Najib threatened Shuja with reprisal through Abdali if he helped the Marathas. The proximity of Abdali's allies to his kingdom may also have weighed Shuja's decision. Also weighing on Shuja's mind may have been the lack of support the Marathas had earlier shown towards his father during his court rivalry with Imad, and he aligned himself with Abdali (probably a little reluctantly, as there was no love lost between Najib, a Sunni Muslim, and Shuja, a Shia Muslim). It is also possible Najib played the Muslim brotherhood card and raised the possibility that the Marathas may conquer their pilgrimage places such as Prayag, and Benares (Kashi) and relegate Muslims to playing second fiddle in the north. Eventually Shuja did change sides from the Marathas to the Afghans. All these complicated events proved to be an ominous signs for the Marathas. By ensuring support from the Muslim kings and with the Rajputs, Sikhs and Jats abstaining, supplies to the Marathas were successfully blocked by Abdali. 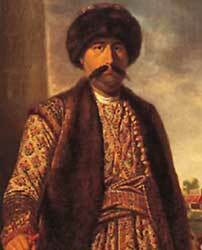 Ahmed Shah Abdali (1723-1773) was the son of Mohammed Zaman Khan, the chief of the Abdali tribe. He served the Persian king, Nader Shah, after the latter rescued him from the prison of Hussain Khan the Ghilzai governor of Kandahar. 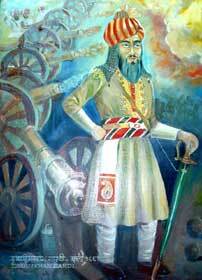 He was named Durrani or the 'Pearl of Pearls' by Nader Shah. 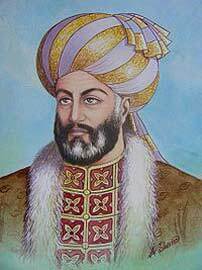 After the assassination of Nader Shah in 1747, by his Turkoman guards, Ahmed Shah Abdali was elected chief of his tribe. He unified all Afghans under his banner, and expanded his kingdom by conquering Ghazni (from the Ghilzais), Kabul, Herat, Nishapur, and Masshad, as well as Kashmir, Sindh and Punjab from the Mughals. He made many attempts to attack Delhi and succeeded in his fourth invasion of India (after the defeat of the Marathas at Panipat). He plundered Delhi and its adjoining regions and later sacked the Golden Temple at Amritsar in Punjab. Eventually the Sikhs rallied against Abdali and drove his armies out of Punjab. Abdali then retreated to Kabul, where he met his death in 1773. Ahmed Shah Abdali-Durrani is remembered as the father of modern Afghanistan. He was an astute war leader and to his enemies a ruthless and ferocious foe. Gaziuddin had murdered Emperor Alamgir II on an earlier occasion and installed Shah Jehan II as his puppet emperor. But the Marathas deposed Shah Jehan II and declared the son of the previous emperor, Ali Gauhar (who had taken refuge with Shuja and later the British) as emperor and he came to be known as Shah Alam II. Later, Shah Alam II was deposed after a confrontation with the British, only to be reinstalled by the Marathas (Mahadji Shinde, brother of Dattaji Shinde) in 1772. Mahadji Shinde was to act as his regent for the next decade or more. Thanks to the imminent threat of war, the farmers were also not in a position to pay revenue. To make matters worse, many moneylenders had fled town during the build-up to war. The Marathas had heavily aligned themselves with a well-equipped artillery under their commanders, Ibrahim Khan Gardi (a Telugu Muslim previously employed with the Nizam of Hyderabad and trained by the French), and Le Corbosier (a French mercenary who was earlier in the service of Tuloji Angre), not to mention their famed cavalry and infantry under the likes of Jankoji Shinde, Malharrao Holkar, Raghunathrao, Vinchurkar, Bhoite, Purandare, and Shamsher Bahadur. They were highly confident of victory. Also accompanying the Marathas were their families, who had plans of visiting holy pilgrimage sites on the way. This was to prove another costly mistake. Shivaji always strictly prohibited an entourage during his war campaigns. But these Marathas did not heed this golden rule set forth by their ancestor. This increased the mouths to be fed and also slowed down troop movement. The Marathas won the initial skirmishes with Abdali's troops at Karnal and Kunjapura. The killer of Dataji Shinde, Qutub Shah, was also killed by the Marathas and he met the same fate has had Dattaji, when the Marathas cut off his head and celebrated the Dasera festival with great pomp. Abdali himself was stuck behind a flooded River Yamuna. But a greedy villager showed the Afghans a shallow route across the Yamuna and Abdali's troops successfully advanced and blocked the Maratha's southern movement towards Rohilkhand (the Marathas had wanted to cut Najib Rohila's supply lines. Earlier they had blocked off Abdali's return route to Afghanistan). The second round went to the Afghans when they made many rapid strikes on the Maratha battalions. 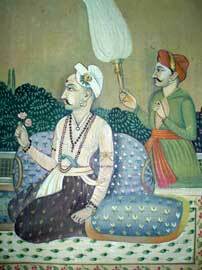 Prominent Maratha commanders such as Govindpant Bundele (Kher) and Balwantrao Mehendale were killed during this time. Seeing their supplies dwindling and men dying, the Marathas finally decided to take on the Afghans with their full might. On the day of the battle the troops on both sides assembled at Panipat. In the Maratha lines were Holkar and Shinde on the right. The peshwa's men were in the centre, with the Maratha (led by Sardar Panse) and the Gardi artillery under Ibrahim Khan Gardi on the left. The Maratha cavalry was led by Sardar Damaji Gaekwad, with Sardar Vithalrao Shivdev Vinchurkar behind, and Sardar Bhoite leading infantry, archers, musketeers, and pikemen to provide cover for the artillery. Behind the cavalry were the inexperienced soldiers guarding the civilians. The first salvos were fired by the Gardi long distance cannons, but these went to waste as they whizzed over the heads of the fast-approaching Afghan army, so these were quickly replaced by short distance guns and muskets. However, as the battle progressed the Marathas seemed to be in a winning position (this was the first half of the battle), with Ibrahim Khan Gardi's artillery wreaking havoc on the Afghans. Bhau's forces managed to cut the Afghan lines in two, almost demolishing the contingent of the wazir, Shah Walikhan. Ataikhan, the adopted son of the wazir, was said to have been killed during this time when Yashwantrao Pawar climbed atop his elephant and struck him down. The Maratha cavalry, led by Bhau and Vishwasrao, then charged at the fleeing Afghans. However, as the Marathas proceeded, a stray enemy shot struck Vishwasrao, the eldest son of the peshwa, killing him on the spot. This may have proved to be a turning point. Vishwasrao's deeply upset uncle, Sadashivrao Bhau, dismounted from his battle elephant in order to recover his nephew's corpse. In the thick of battle, the Maratha soldiers saw the vacant ambaari of their commander and thought that he had also fallen. They panicked. This reversed the tide of the battle to the detriment of the Marathas. Jankoji Scindia's attack on Najib Khan was also repulsed (Jankoji was later captured and executed). Natural factors also did not seem to favour the Marathas. One such factor was the 'Dakshinayan', an effect of the sun where the suns rays shone directly into the eyes of several hungry Maratha soldiers (it has to be remembered that the Afghans had earlier cut off the Maratha food supplies, leading to some very empty stomachs just before the battle), and many fainted with heat stroke. They were all butchered by the rejuvenated Afghan forces. The totals for the Afghan and Maratha forces were therefore roughly 100,000 Afghans to 70,000 Marathas (plus 30,000 pilgrims and non combatants). Sadashivrao constructed the Sadashiv Peth, a residential colony at Pune. The corpses of Vishwasrao, Sadashivraobhau and many other Marathas were said to have been purchased from the Afghans by Nawab Shujaudaula of Oudh (whose father had enjoyed friendly relations with the Marathas in the past) and his diwan, Kashiraj Pandit (who later wrote his treatise on Panipat). The bodies were later cremated as per Hindu custom. The Afghans capitalised on the confusion in the Maratha ranks and cut through their flanks. Thousands were massacred, along with just as many civilians. Seeing the massacre of the Maratha army taking place, Malharrao Holkar also fled from the battlefield, as did many leading Maratha commanders. Many sought refuge with the Jats and the Sikhs who generously tended to them. Thus Panipat proved to be a huge debacle for the Marathas. The old guard, such as Malharrao Holkar, Vinchurkar, and so on, were against the European battle styles and more in favour of their traditional guerrilla warfare. Hence their support was said to be rather half-hearted. It can be said about Sardar Vinchurkar, whose main job it was to guard the Gardi artillery, did not want the Gardis to take all the credit for destroying the enemy, so to make his mark on the battle, impatiently broke away from the pre-agreed 'Golaachi ladhaai' circular battle formation. In hindsight we can conclude that this proved detrimental to the Maratha cause. The debacle at Panipat left an indelible scar on the Maratha psyche for a long time to come. The Afghans had indeed won the battle, but they also lost men in large numbers (35,000 Afghan casualties were reported in comparison to the 80,000 on the Maratha side). Also the treasury in Delhi was empty and there was nothing to loot. The Afghan soldiers with time had grown battle weary and refused to move further into India. Also, due to the non-payment of wages, there was a growing feeling of discontent in the Afghan ranks, not to mention news of a brewing rebellion back home. Thus, despite winning the Battle of Panipat, the Afghan victory proved a pyrrhic one. The Afghans ruled the north India for a very brief period, but soon returned to Afghanistan leaving Najib ud Daullah in charge of northern India except Punjab, where Abdali stationed his garrisons. The Afghans named Shah Alam II as the titular Mughal emperor in absentia, as he had escaped Gaziuddin's clutches and sought refuge in the eastern provinces. Surprisingly, Gaziuddin was made wazir, but the main powers of administration rested in the hands of Najibudaullah who was reinstated as mirbakshi. Surajmal Jat did however provide relief to the escaping Maratha refugees, tending to their needs, unmindful of the consequences, as did Shujauddaula who is said to have paid a fortune to the Afghans to allow the cremation of the slain Maratha leaders. The Afghans took away several Maratha men and women as slaves to Afghanistan. Their descendents still survive in parts of modern Pakistan and Afghanistan amongst the Bugti, Marri and Gorchani tribes. Some Marathas took refuge in the villages surrounding Panipat and are today known as Ror Marathas. Near modern Panipat (in Haryana state), there exists a village called Bhaupur, named after the martyred Sadashivrao Bhau. There also exists a temple built in his memory where ballads singing his praises still resonate. On their way back the battle-weary Afghan army was ambushed several times and looted by roving Sikh bands. The Afghans did make a couple of attempts to subdue the Sikhs by force and by emoluments, but failed on all counts. Eventually, a few years later, the Afghans were driven out of Punjab. Raja Madho Singh of Jaipur, who had helped the Afghans with supplies, later tried to muster support to prevent the Marathas from re-entering the north. But Malharrao Holkar, chastened by the defeat at Panipat, atoned for it by later defeating Madho Singh in battle. However Malharrao was wounded and retired to Alampur where he died. Earlier the Rohillas, led by Hafeez Rehmat Khan, were promised help by Shuja against future attacks by the Maratha army in return for compensation of four million rupees. But the Rohillas went back on their promise as the approaching Maratha army withdrew at the last moment due to the untimely death of Peshwa Madhavrao, and the main war against the Rohillas actually never took place, as a result of which Shuja attacked Rohilkhand with English help. But friction soon developed between the English and Shuja and the latter fought an unsuccessful Battle of Buxar against them. Later he again sought Maratha help to fight the English, albeit unsuccessfully. Shuja faced defeat at the hands of the English at the Battle of Kara Jahanabad in 1765. Shuja died in 1775. Peshwa Balaji Bajirao was unable to bear the news of the death of his son Vishwasrao and his cousin Sadashivrao Bhau. He died due to tuberculosis and depression in 1761 in the temple premises of Parvati in Poona. Balaji Bajirao was a shrewd tactician, a brilliant administrator and a good man-manager. To his credit, he was also a very good administrator. When he became peshwa, the state was reeling under financial problems, mainly thanks to the Maratha wars to expand the empire's boundaries. But being an astute administrator, Balaji Bajirao improved the fiscal condition of the kingdom. He transformed Pune, his capital, from a village into a well-planned city. He ensured a good infrastructure, built good roads, wells, water reservoirs, sewerage facilities, bridges, temples, and more. The famous temple of Parvati was also constructed by him. Balaji Bajirao also established a water reservoir system at Katraj that provides water to city of the Pune to this day. He also built a wooden bridge over the River Mutha, known famously as Lakdi Pul. He established residential areas such as Sadashiv Peth and Nana Peth and invited people to come and reside there. Peshwa received the news of Panipat in a cryptic message which read: 'two pearls dissolved, 27 gold coins have been lost and one cannot total the silver and copper coins cast up'. Curiously there are reports of the estates of many sardars including the Shindes, Pawars and Holkars, being confiscated by the peshwa immediately after Panipat (apparently out of anger for the debacle and the loss of his son and cousin). Apparently, these estates were later restored to their owners, perhaps after knowledge of the full situation had sunk in. Interestingly, Peshwa Balaji Bajirao had married for the second time to the nine year-old daughter of a rich moneylender (Sawkaar Naroba Naik) from Paithan. The reasons for such an action have perplexed many historians. Why would a man weakened by tuberculosis marry a girl less than half his age, especially when his men were out on the important Panipat expedition? Some have attributed this to the discord between the peshwa and his first wife, Gopikabai, while some have attributed it to monetary reasons. The Maratha kingdom was divided into Tarf, Pargana, Sarkar and Subah. The Subah was under a sar subhedar. Under them were the mamledars. Under the mamledars were the kamvisdars. The mamledars and kamvisdars were in charge of local administration. Under their control, revenue collections were managed by the Patils (in Marathwada, Pune, and Khandesh) and Khots (in Konkan). Under the peshwas All these posts became hereditary. The Deshmukhs and the Deshpandes acted as chief district officials. Their assistants were known as kulkarnis. They maintained record-keeping. Then there were the local magistrates, the chief magistrate, etc. Each area had kotwals in charge of police work. Under them were the havaldars who acted as police constables, under whom were the 'Shipais'. Overall, administration under the peshwas, though traditional, was fairly efficient and well managed. The drawbacks perhaps lay in Maratha administration outside Maharashtra (barring perhaps the fiefs of the confederate generals), where the regions were mainly seen as revenue yeilding and no attempts were made to implement any permanent systems of administration and control. The army also remained scattered outside Maharashtra in different pockets with only small contingents left to guard the captured areas. As a result, the recapture of those areas proved comparatively easy for the enemy. Shukrawar Peth was build by Jivajipant Khasagiwale during the rule of 'Shrimant Balajirao Peshwa', as was Guruvar Peth. Vyavahare Joshi developed Rawaivar Peth in Pune during the time of Balaji Bajirao.